There is nothing more relaxing than getting a manicure or pedicure. We know a thing or two, about providing an impeccable manicure. 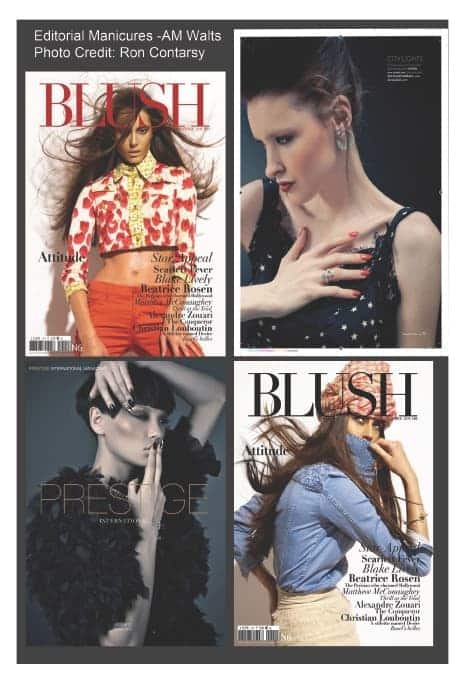 Our manicures have graced the covers of several fashion magazines. If your favorite manicure is a French Manicure…no problem. If you LOVE nail art…you will definitely have to check out what Minx Manicure is about! Dry instantly. Can last up to two weeks. The polish is a very thin gel that is cured with UV light. Do you prefer your nails to be buffed & polished? We have that, too! Fashion doesn’t stop with your clothes, extend your unique style all the way to your finger tips with Minx! 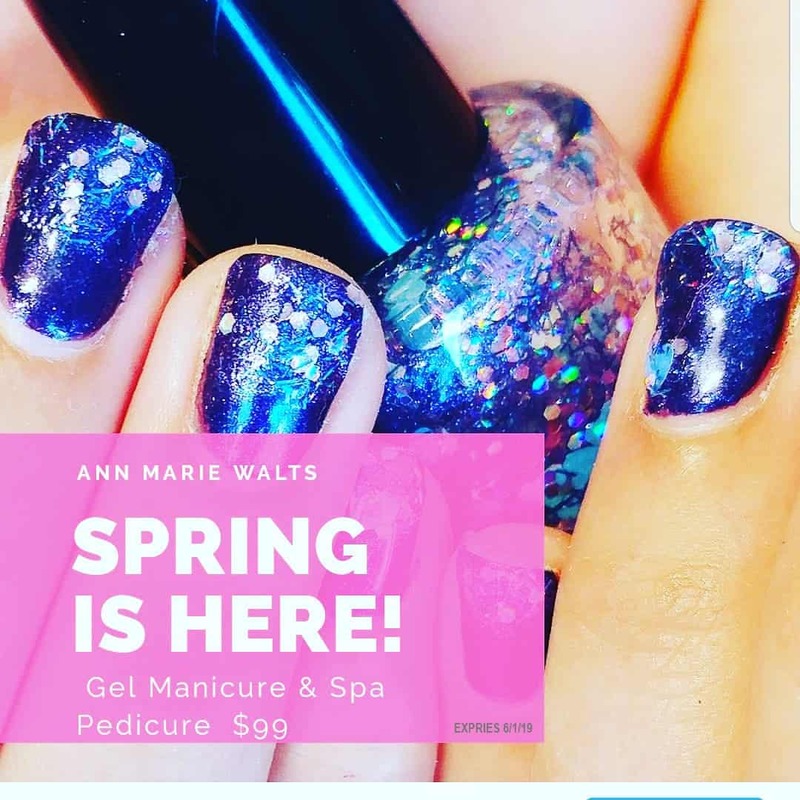 Just remember, there is no room for boring nails in the fashion world – put a pop of pattern or a burst of color on the tips of your fingers and you feel like you can rule the world. Soak your tired feet! Get them ready to show off your favorite pair of flip flops! Have you ever had your nails chromed? We love taking your manicure to the next level! Beauty, Hair & Photography all go together. Ann Marie Walts has been behind the scenes working on photo shoots with other creatives for years. Whether it was providing manicuring or assisting photographers….it’s always a creative venture.